Not everybody is used to search for help when it comes to the cleaning of their own home. Most people prefer to do everything by themselves in order to save money or just by habit. But there are some special circumstances that require the intervention of a third party. There is nothing wrong in depending on professionals to do the job that you don’t have the time to do or don’t have the necessary education for. There comes a time in every person’s life when they get admitted to a hospital. Something that we usually don’t think about is how our body reacts to the sterile environment in these medical facilities. After an operation or an invasive procedure of any kind, our immune system is weakened and we have to take better care of ourselves. Once you are discharged from the hospital you enter your home and into potential danger. Your body could experience an initial shock in the form of a fever or an intense headache. 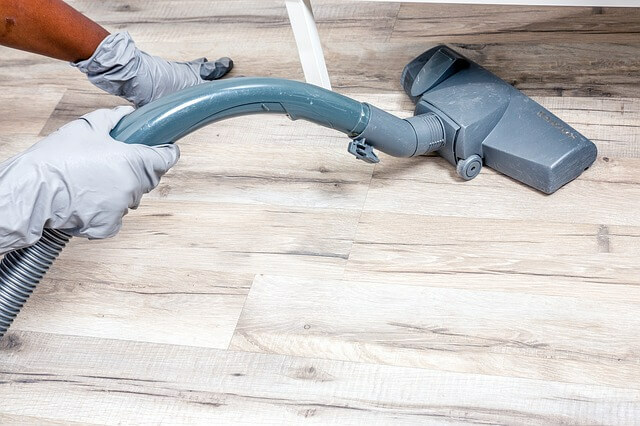 In order to minimize the possibility of developing a post-operational allergy or immune deficiency, you must thoroughly clean your room and your home. The best and most quick way to deal with all that is to contact a local cleaning company. It is important to inform them what is your condition, if you have a previous intolerance to some cleaning substances and if you have some further requirements connected to your medical condition. Everybody loves babies. There is nothing more adorable than having the little bundle of joy in your arms and feel like you can conquer the world for them. But let us start with something more simple, win the battle in your own home. When you first bring your baby to its new house, the lace has to be sparkling clean, especially the baby’s room. You can not use any strong cleaning products, bleach and anything that has chlorine or ammonia is out of the question. In the first few months babies are prone to develop allergies or intolerance to different substances, so you have to be extremely careful around them. Steam cleaning is the answer to all your cleaning prayers. This is an eco-friendly method, that does not require the use of any cleaning chemicals, despite that it is the most effective way to disinfect your household. Almost every cleaning company has a steam cleaning service and they can cleanse every surface, fabric and even the air in your home. This type of services is also recommended if you or someone in your family is pregnant. Doctors advise pregnant women to avoid using cleaning supplies and fluids with a high concentration of chemicals. Strong smells and vapours also have a negative effect on expecting mothers. If you live in a rainy country like the UK, you most definitely have a mould problem. In almost every home in London, there is a black spot in some corner and orange residue on the tiles in the bathroom. Not only that it constantly rains in the British capital, but there are numerous rivers, canals and underground streams as well. Mould is a resilient fungi that can cause health problems in small children, elderly people and in general everybody that has allergies or a weak immune system. When your expensive modern house is infested with dangerous mould, it is time to have a good old professional cleaning in your London home. If you have a pet, in particular, a cat or a dog you know the struggle to keep your house hair-free. Most dogs change their winter fur during the spring, and that is the moment when you have to constantly clean. Unfortunately, cat hairs are even more annoying as they tend to stick to everything including the inside of the dishwasher and the laundry machine. Most dog breeds cannot be groomed, or it is not recommended as it is not good for your pet’s skin. You must never bring your cat to the pet salon, as they are not meant to be without fur. The end of spring is a great time to call a cleaning company to vacuum and disinfect the whole house. You must inform them you have pets, their breed and number. Typically, the cleaners will know what supplies to use and what type of cleaning will be best to “defurrafy” your home.